MICHAEL BRISSENDEN: A group of leading scientists has written to the Prime Minister warning that Australia’s research facilities are on the verge of shutting down due to uncertainty over funding. Commonwealth Government money needed to run the nation’s research infrastructure dries up in the middle of the year, and as yet it has not been renewed. The infrastructure comprises more than two dozen facilities that employ hundreds of scientists and underpins much of the country’s major scientific research. Scientists say without it, innovation will dry up and there will be a brain drain out of Australia. MICHAEL EDWARDS: Professor Tanya Monro is regarded as one of Australia’s top scientists. She is the deputy vice-chancellor for Research and Innovation at the University of South Australia. She explains that her area of speciality is in nanofabrication. TANYA MONRO: In my own personal research field I’ve been driving the development of technologies for sensing and measurement in industry and one example is in wine sensing, developing smart bungs in wine barrels that can measure the quality of wine in storage. All of this is underpinned by the capacity to have high class research infrastructure, which is currently under threat. MICHAEL EDWARDS: The high-class research infrastructure Professor Monro is referring to consists of 27 different facilities around the country. They cost $2 billion to set up and $150 million a year to run. Scientists say most of the nation’s scientific research output depends on them. But they fear these facilities are on the verge of shutting down because their funding has yet to be renewed by the Government. TANYA MONRO: The situation we have now is really undermining 10 years worth of investment from the Australian Government in specialist infrastructure which keeps our research endeavours going – but even more critically given when the Government agenda is going, it underpins our capacity to engage with industry and create new jobs. Because essentially specialist scientific infrastructure is what allows us to not just discover new things but apply it to real world problems, and without that we’ll have to start again. MICHAEL EDWARDS: The situation has prompted scientists from most of Australia’s leading scientific bodies to write to the Prime Minister. 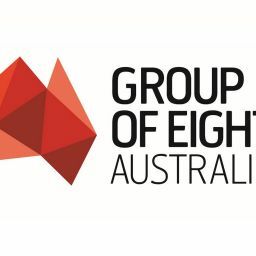 LES FIELD: The signatories include the Australian Academy of Science, the Academy of Technological Sciences and Engineering, the Group of Eight universities, Universities Australia, the Association of Medical Research Institutes – almost all of the large research organisations in the country. MICHAEL EDWARDS: Professor Les Field is the secretary for science policy at the Australian Academy of Science and the deputy vice chancellor for research at the University of New South Wales. He says much of the country’s research infrastructure will have to power down unless the Government approves more funding. LES FIELD: Look, when I talk about research infrastructure what I mean it’s the research tools and equipment that underpin much of the cutting edge research that we do in Australia. We’re talking about powerful microscopes, powerful telescopes, ocean monitoring stations, clean rooms that let us make tiny electronic devices and things of that type. MICHAEL EDWARDS: A flow on effect could be a brain drain of some of Australia’s leading scientific minds. LES FIELD: While ever there is uncertainty about whether these facilities will continue, we have our staff looking about for other jobs and many of them are looking overseas. And I think it would be a travesty is, through this exercise, there was a brain drain and we lost some of the people that are so important to maintaining the big infrastructure that we’ve got. MICHAEL EDWARDS: According to Professor Field, the Federal Government is linking more money for research infrastructure with its planned higher education reforms. He accuses the Government of using scientific research as a pawn in a political game. LES FIELD: It’s like a game of chicken where the stakes are the $2 billion that we’ve already invested in big infrastructure. MICHAEL BRISSENDEN: Professor Les Field ending Michael Edwards’s report.